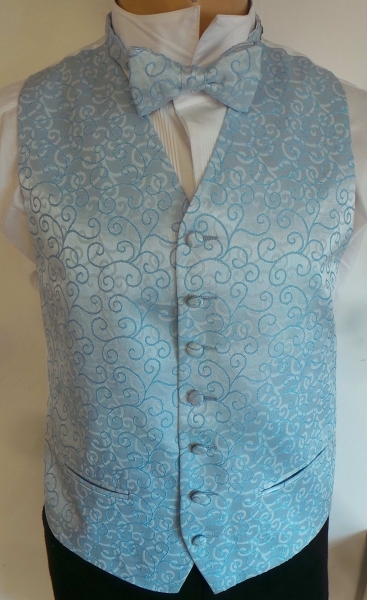 You will receive 9 Boys Blue Swirl Waistcoats With Matching Accessories. Boys waistcoats from Piscador. An elegant style that consists of a blue swirl pattern on a lighter blue base colour. Features two front pockets. Please note these waistcoats are ex-hire so may have some slight wear in them, but the vast majority are in excellent condition.